Charles Pratt, 1st Earl Camden (1714-1794) was a leading proponent of civil liberties in eighteenth-century England. 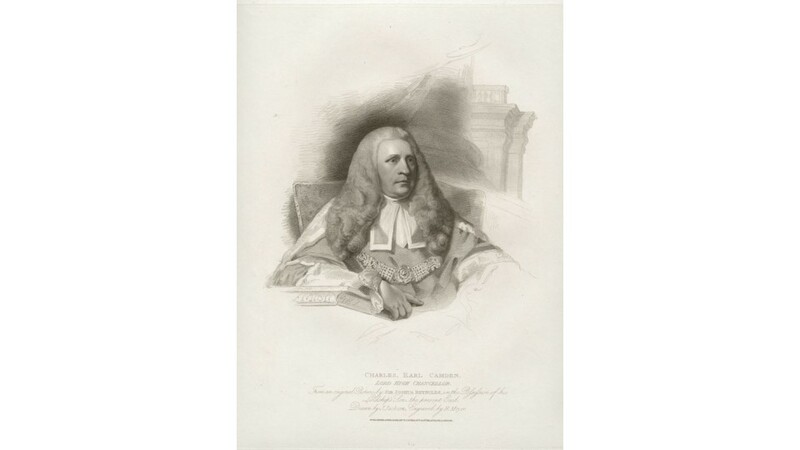 He was trained in the law, and by 1757 had become Attorney General. 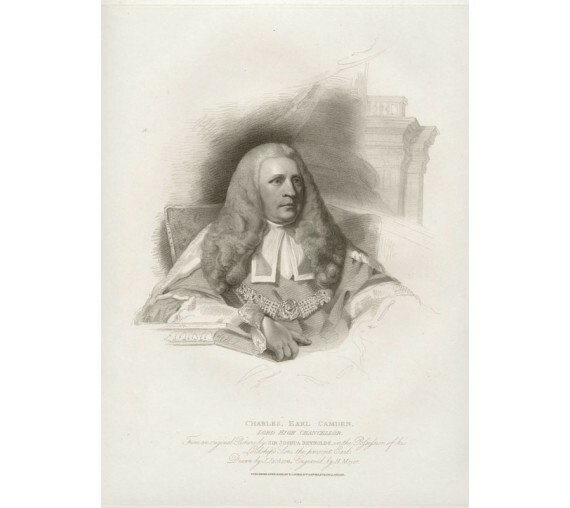 He entered Parliament as an MP the following year, but resigned in 1762 when he was made Lord Chief Justice of Common Pleas. In 1763, Pratt was involved in the case of John Wilkes, who was prosecuted for libel. Accompanied by original descriptive text. Library stamp on reverse. Trimmed just outside platemark on right hand side.